Those of you who live on the coast are lucky enough to take in that refreshing ocean scent every day. For the rest of us, we have to wait until our next vacation! 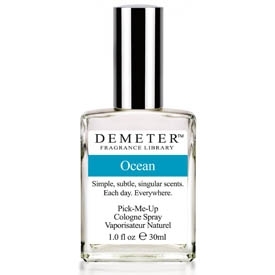 Now you can wear our Ocean Cologne and take that familiar scent with you where ever you go. Maybe it will make you feel a bit like you are on vacation. All you need to add is a dash of sun, sand, and a scenic view. This scent smells especially great on men and could be used as an every day Cologne. But ladies might enjoy the Ocean Scent as well!